Today we’re taking our Spotlight Series across the pond, and looking at The Royal Central School of Speech and Drama. Today we’re taking our Spotlight Series across the pond, and looking at The Royal Central School of Speech and Drama. This program stands out if you’re looking to create contacts with London’s West End. Through placements in the second and third years, students have worked with Scenic Artists on West End productions such as the English National Ballet’s Nutcracker, Annie, Charlie And The Chocolate Factory, Love Never Dies, Grease, We Will Rock You, Singing In The Rain, and Peter And Alice. Students have also regularly undertaken placements on productions at the National Theatre, the Royal Opera House, Salisbury Playhouse and Watford Palace Theatre. What is unique about The Royal Central School of Speech and Drama, compared to other programs? We are one of the very few specialized Scenic Art degree programs within the UK. 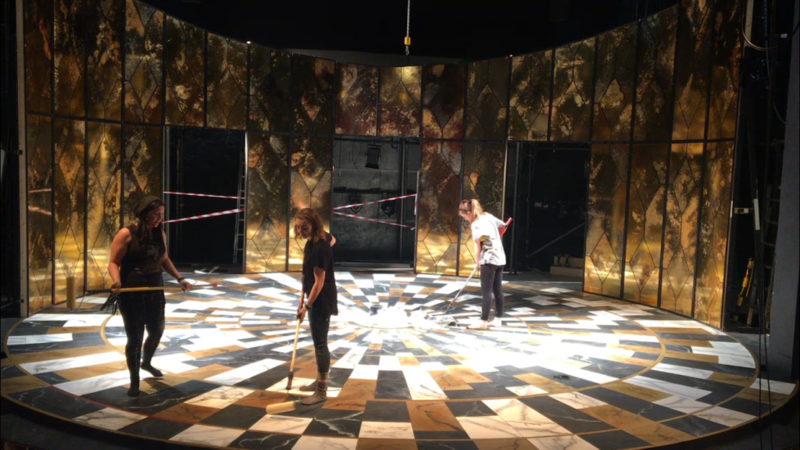 We run a contextual studies and seminar program within the course to support the students in contextualizing their specialist practice within the wider field of theatre making and critical thinking. The first year studying on the Theatre Practice degree will be focused on collaborations and teamwork; the courses work together to understand how their focused specialism fits into the production process. The three main units are: Introduction to Theatre Practice, where students will see a variety of West End and fringe shows based in London and be introduced through workshops to design, crafts and production management key principles. Text Analysis, where there is the opportunity to work with a designer to analyse a text then develop all research towards a chosen design, which will be made into a live performed tableau. Developing your Creative Practice, where students will work on their first public production collaborating with all courses within the Theatre Practice degree and the Acting (Collaborative and Devised Theatre) students, a professional designer and director. 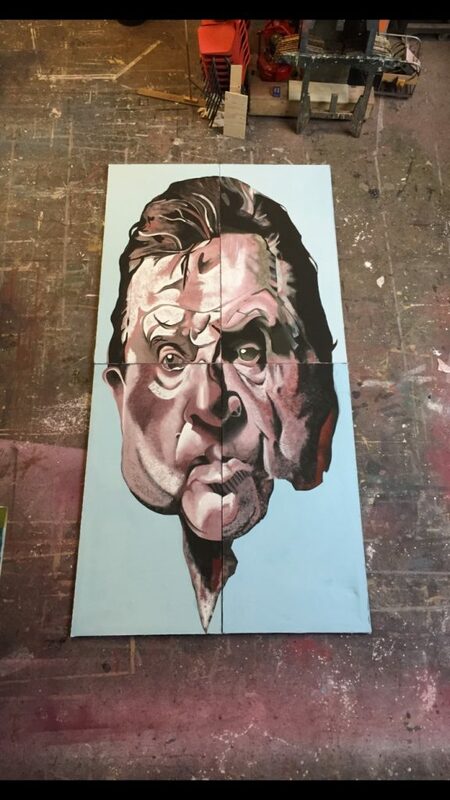 By the end of the first year, students have gained skills in working with scale, plotting and gridding, color theory mixing and methods, marbling, trompe-l’oeil, wood graining, stone, stenciling, wallpaper, paint calls and much more. 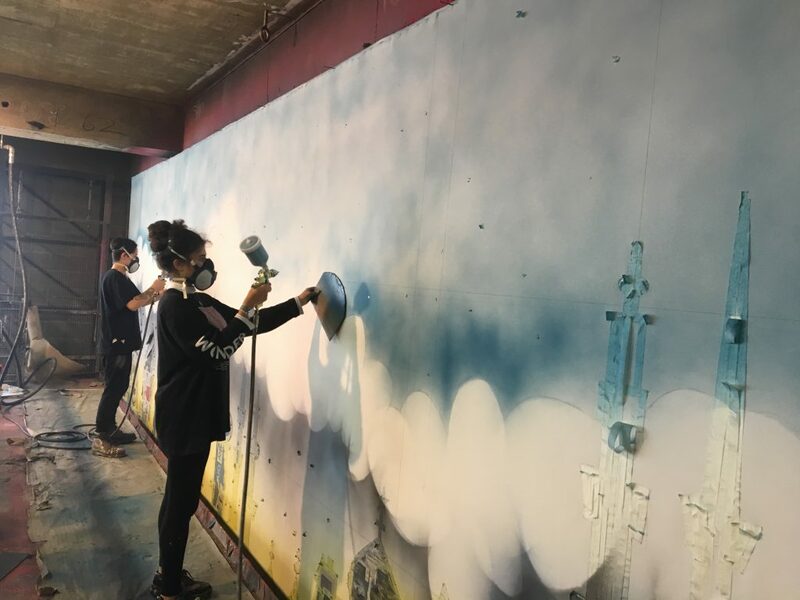 The second year is predominantly practical, working on productions within the Scenic Art department to support the school and outside events, theatres, festivals, murals etc. Students work on a musical production, a traditional acting production and a touring production. We are lucky to have strong links within the industry allowing the students to paint a traditional English pantomime cloth, undertake taught architecture and perspective skills at the Royal Opera House, and work with professional sign writers, and be introduced to polycarving (foam) to add variation to the teaching program. By the end of the second year, students have been taught and practiced enough techniques to feel confident enough to undertake work experience. The students continue to refine their practices, developing confidence and building on their industry links. By the third year, each student has a chance to be Head of Department for a public production, and work with a team of second year students. 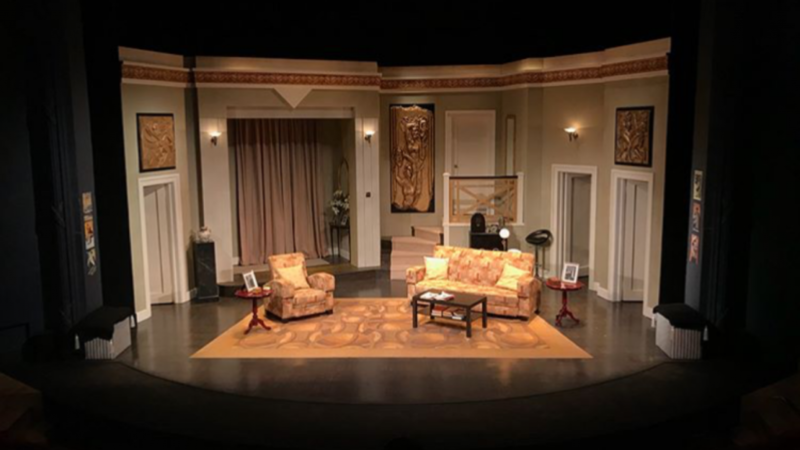 In all areas of the entertainment industry, including theatre, television, film, visual merchandising, events and theming, the Scenic Artist creates the painted and textural elements of the design to specifications agreed with the Set Designer or Art Director. Students develop skills in research, analysis and interpretation, problem-solving, teamwork and a high level of technical competence in drawing, painting, color theories, architecture, perspective and working to scale, as well as a comprehensive knowledge of materials and their application. The overall aim is for students, upon completion of the degree, to blend seamlessly into a career. The third year of the course is structured in a way that allows for the undertaking of work placements within the industry to build up contacts and industry links. Many of our students are working as freelancers before graduation. Do you have a teaching philosophy that you follow? We are extremely lucky here at Central to teach small specialist cohorts on each course. This enables the course leader to truly strike an individual relationship with each student and understand how the individual would fully engage with their studies. How we learn informs how we teach; we are all unique individuals – each student will learn in a different way and, for this reason, I would say flexibility and experimentation is key. ‘Imagination is more important than knowledge’ (Albert Einstein), although I also believe ‘Practice should always be based upon a sound knowledge of theory’ (Leonardo Da Vinci). There is a lot of theory to cover, but I find the practical hands-on approach is crucial. Making mistakes also has its importance in achieving outstanding creative learning and we nurture a safe environment for students to work together to problem-solve through the production process. The students lead each department with guidance from course leaders, lecturers, visiting professionals and visiting lecturers, whilst working closely with professional designers and directors throughout each collaboration. The course is consistently evolving, based on current practices within the industry, as well as listening to the students’ voices to adjust projects to each individual. I aim to inspire and promote problem-solving through experimentation and captivate research strategies which enables students to confidently work autonomously and as part of a team. With the support available to them, each student can find their own path, navigating their own interests within their specialism and the wider context of their studies. BA (Hons) Theatre Practice consists of 11 specialist courses, all collaborating to create theatre alongside our performance-based courses. We work on productions which are held on site within our proscenium arch theatre and studio spaces. There are also many other off-site projects which the courses are involved in, which may include fringe, festivals, immersive, devised and speculative. Our 11 courses are led by our Program Leader; Dr. Katherine Sandys. Tuition Costs / Length of Program/ Scholarships? 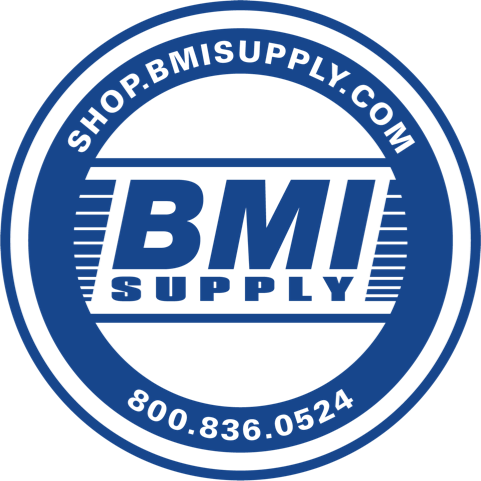 For rates, please visit this page. Note: these fees are for 2018 entry and are subject to review each year. 3 Year full time program, starts in October, with 3 ten week terms per year. Scholarships are available. Degree / Certificate / Other? Alumni are awarded a Bachelor of Arts (Hons) Theatre Practice certificated Degree. If you’re interested in contacting the Royal Central School of Speech and Drama, find more information here! 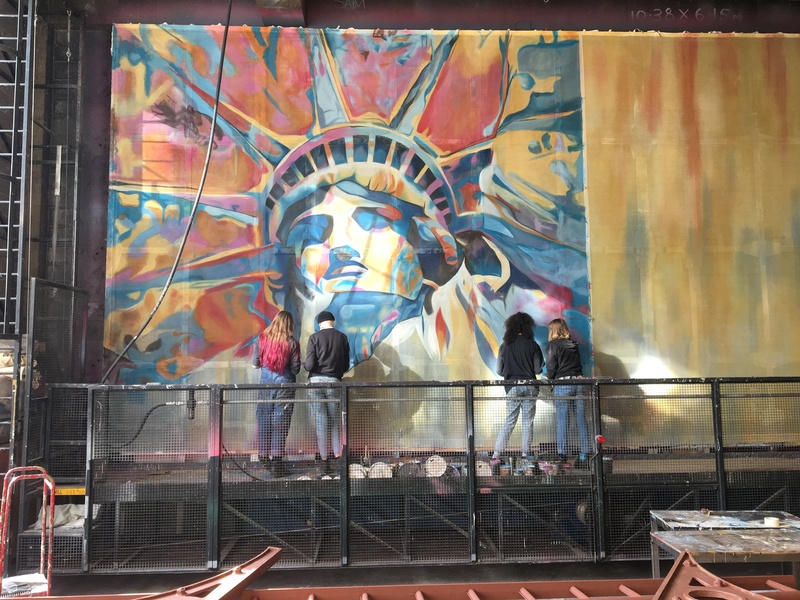 As a small reminder of other Scenic Art Training programs across the pond in the UK, our first article about education has more listed: 5 Routes into the Scenic Art Industry. Are you aware of another great “On the Job” style training program/ apprenticeship that we need to know about? Please let us know in the comments below!